The Good Wife has never been a particularly safe show. From the subject matter to the weekly cases to the overall story arc, the writers like to bob and weave to keep viewers intrigued. That approach led to the jaw-dropping and brilliant fracture of Lockhart Gardner earlier in Season 5, but last night, that willingness to shock went to a whole new level when, well, if you haven’t watched the episode in question, you should probably bail right now. 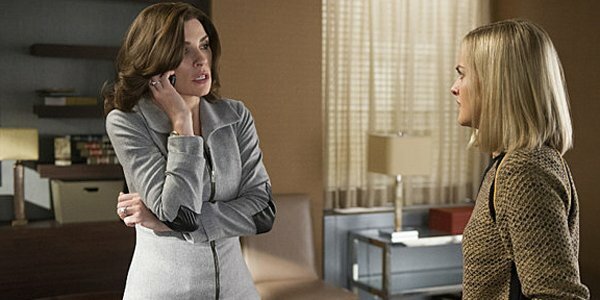 Seriously, if you’re not caught up on The Good Wife, stop reading! Go ahead and bail right now. 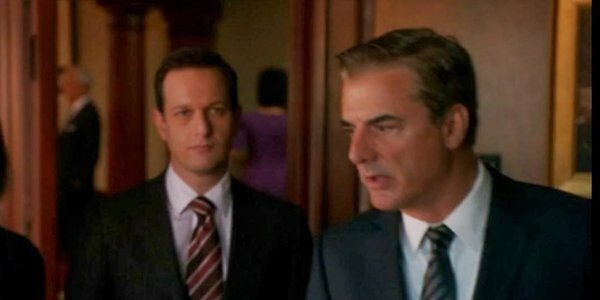 …went to a whole new level when Will Gardner (Josh Charles) was gunned down inside a courtroom after his client stole a gun. Was he shot on purpose? Was he caught in friendly fire? We don’t really know all of the hows or the whys, but regardless, the show’s second lead is now dead and the fan reaction has been extreme to say the least. In fact, the over-the-top response convinced the show’s creators to pen an open letter offering their perspective and convinced Julianne Margulies to participate in a question and answer session on Facebook. It’s easy to see where all the outrage is coming from. Will is one of the most popular characters on the show, and many viewers always assumed Alicia would eventually leave her cheating husband for him. Obviously, that happily ever after is not going to happen, and on top of that, it’s a bit depressing that Will and Alicia will end on such a sour note. I get all of that. Believe me. After weighing all of the facts, however, it’s pretty clear to me the gunshot needed to happen for a lot of reasons, most specifically because Josh Charles made the decision to leave the show. After four seasons on The Good Wife, Charles reportedly went to creators Robert and Michelle King and told them he wanted to leave to spend more time with his family. That decision, in essence, forced the creative team’s hand. The option of Alicia and Will slowly coming back together over the course of a few seasons was now out. So, they could either try and pitch the actor on a recurring role or a guest stint during the final season to eventually unite the two former lovers, or they could get rid of him for good. Will is a lot of things. At the top of the list is workaholic. He might like a good scotch on occasion but not as much as he likes eighty hour work weeks. Considering his age and his position as the top dog at Lockhart/ Gardner, there’s no way he ever would have stepped away or left for another firm, and while Alicia is technically the main (and title) character of The Good Wife, the show is, in a lot of ways, about Lockhart/ Gardner. Even Florrick/ Agos is an extension of Lockhart/ Gardner. That law firm has to exist for The Good Wife to be The Good Wife, and there’s no way it could ever exist without Will running it, unless, of course, he was incapacitated. Killing Will off was the only sensible way to explain him not running Lockhart/ Gardner, and given the hands-on approach he’s taken over the show’s first five seasons, having him step back or care less simply wasn’t an option. Alicia getting fired was the best moment on television this year. It was the culmination of months of planning and years of feelings. It was shocking, warranted and completely brilliant. The fallout was fascinating too. Watching Alicia and Cary scratch and claw to steal clients, raise money and start their own firm was riveting to watch. Hell, it was even a whole lot of fun to watch Will and Diane blow their gaskets and try to right the ship at Lockhart/ Gardner, but the sad truth is over the last half dozen episodes or so, The Good Wife has gotten a little formulaic. Instead of working on completely separate cases, Lockhart/ Gardner and Florrick/ Agos kept getting roped into the same drama. Now and again, it was nice to see them compete against one another, use all their knowledge against the other to try and get the upper hand, but honestly, how many weeks could we have watched that for? Could we have gone multiple seasons in which the two law firms repeatedly jabbed at each other, or would we have started to get episodes in which the two firms each worked on totally unrelated cases? Something needed to change. This was it. I’ve never seen any real statistics on this, but based on The Good Wife fans I know, I would guess at least half are convinced Will and Alicia should end up together. There’s something about the way they interacted, the way they were able to push each other to new heights that was really beneficial to both, but even if the plan was to reunite her with Peter, if Will were still alive, a sizeable number of fans would keep hoping for his return. Beyond that, it’s unrealistic to think Alicia wouldn’t always actively wonder about Will if he were just at another law firm in Chicago or even in another city. After all, the world of high profile lawyers is very, very small. Consequently, every single time Will would appear in the future, it would just drag up all of the old feelings. Alicia could never have completely moved on with Peter or with anyone else if Will was still in the picture. By killing him off, however, the writers closed that door forever. He’s never coming back. He’ll never be an option again; so, she needs to, once and for all, move on.